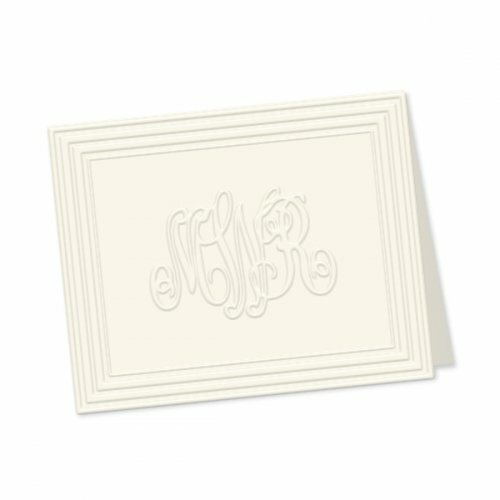 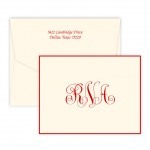 Classic embossed triple frame surrounds a 1.5" monogram for the look of quiet elegance. 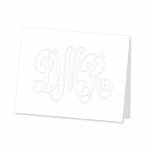 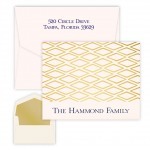 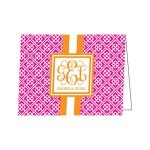 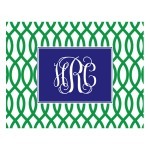 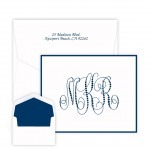 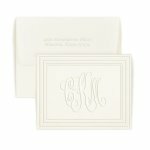 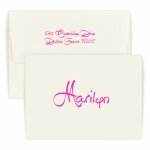 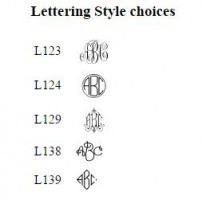 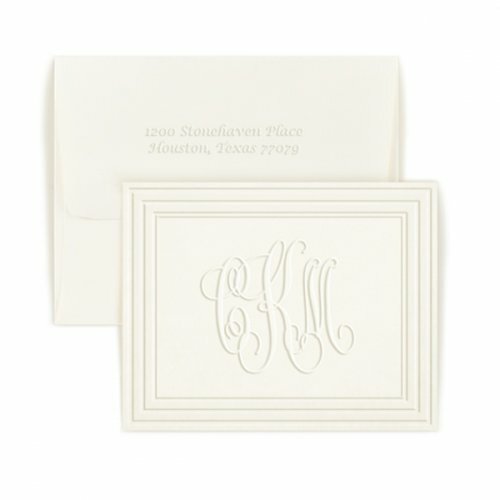 Chooose from 5 monogram styles to suit your stationery needs. 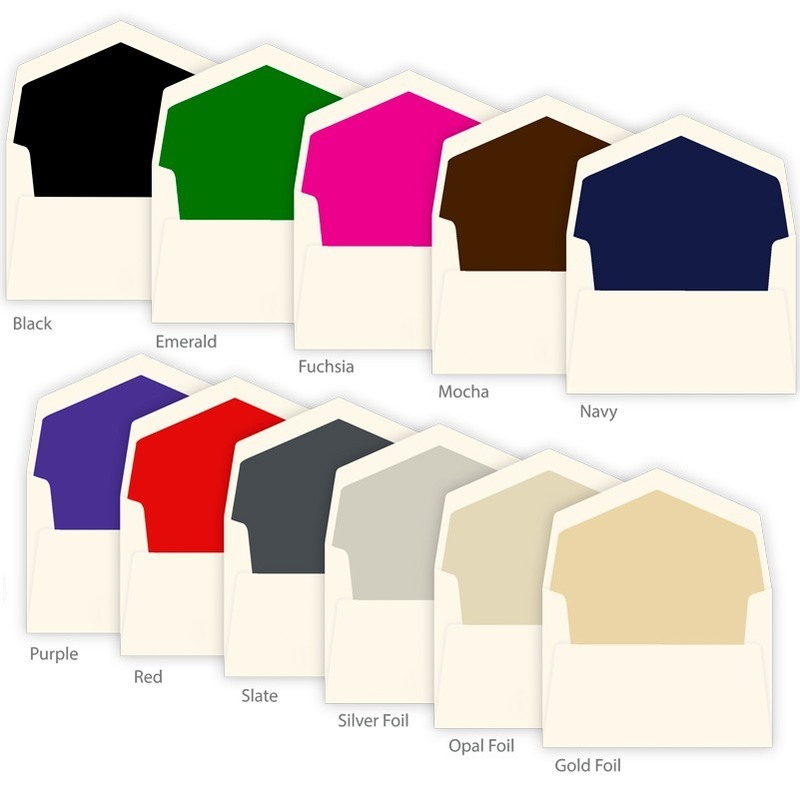 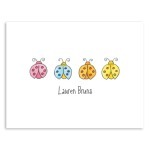 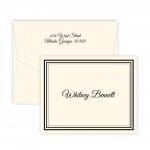 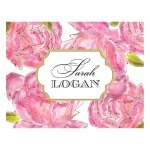 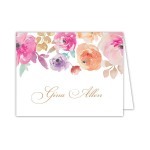 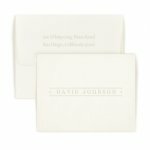 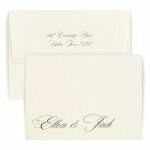 Includes matching envelopes in either white or ivory paper. 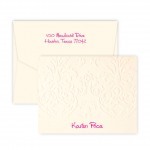 Upgrades includes return address embossing and hand lined envelopes.